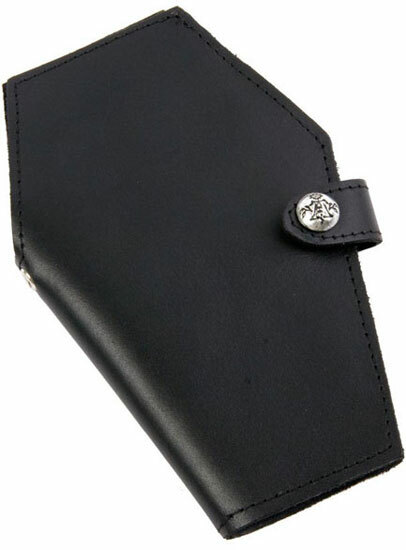 In high quality leather, with large bank - note section, several card pockets and eyelet hole for chain attachment. Imported from the UK. 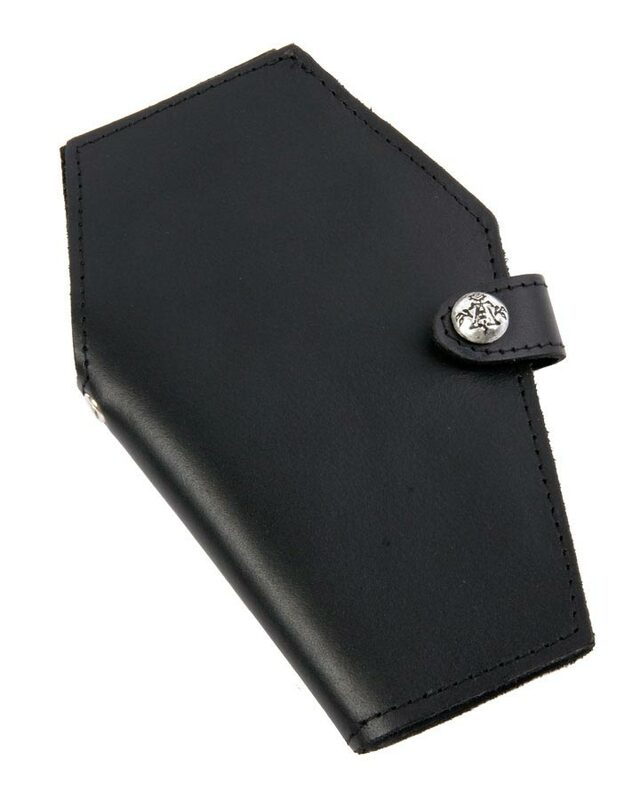 It's a really good quality wallet, but it's quite big. I bought a chain for it so I wouldn't lose it out of my back pocket since it slipped out a few times. Otherwise it looks really cool and is basically what I was expecting. Plenty of room for money in the center pocket, but not a lot of room for cards. The card pockets are pretty small. The added velcro at the top was much needed so cards don't slide out, otherwise I'm pretty sure they would. Overall I like it. I'm happy I got it.